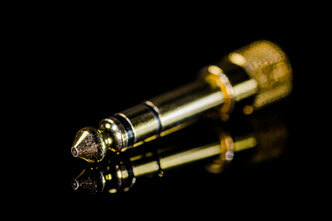 If an artist wants to reach a lot of people, radio or background music are good ideas. Most of the stores play background music, but also restaurants, spas, indoor swimming pools or waiting halls. What customers hear, is just as important as what they see. It’s essential to select the right background music to match a brand’s personality and getting the right mix of in store music to keep customers feel good and coming back. Important is the right music genre for a special mood and business type. Alexander Stein with his label Volume0dB now works with Soundreef wich provides music for thousands of stores worldwide, reaching millions of customers every month. Soundreef manages a large catalogue of high quality songs from many artists, like Alexander Stein or Ambient Sounddesign. The songs are licensed on behalf of labels, publishers and independent bands. To use a piece of music in any production, you need to obtain permission from the copyright holder. This can be a difficult, long and sometimes expensive process to get permission to use a popular song. Stock Music or Stock Audio provides an easily licensed alternative for professional or non-professional projects like video-games, films, radio, televisions programs background, web sites, marketing, musical recordings, music on hold or presentations that contain streaming audio. It's often called Production Music and it is an inexpensive way to use music in a project. 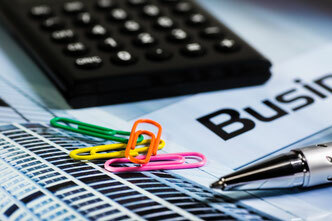 In most cases it is not necessary to get specific permission or pay additional fees for the use of a onetime licensed track. Stock Music is generally placed in the background and does not stand alone. Most Stock Music Libraries provide various music licensing options, so the user has to check, what fits best for his needs. Alexander Stein works with Pond5, Jamendo, Motion Elements. If the Production Music is used in a public performance or broadcast (radio, television) production, its composers/publishers are also authorized to receive performing royalties from performing rights societies/organisations (PRO) like ASCAP or GEMA, if they are member of such an organisation. 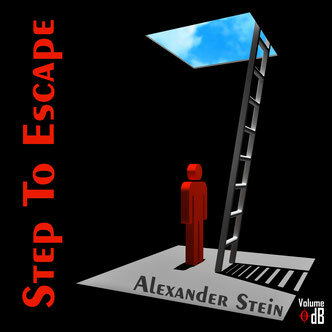 In summer 2012 Alexander Stein wanted to convert his musical skills in a new dimension and escape from previous restrictions. This work should be the first step. To produce the 4 songs, he worked about 6 months and the album was finished and published at his 55th birthday - a gift to himself. This album is inspired by organ- and synthesizer-heavy tracks of the 1970th, times of classic rock. This period was the time auf Alexander Stein's youth. The tracks are new compositions, played and produced by Alexander Stein in his studio Volume0dB in Germany. The cover is a symbol of the "escape" from darkness to light. The light is a detail of a photo of the sky where he lives. The album was mastered at Abbey Road Studios London Online Mastering Services. Thanks to the great work of Sean Magee, the mastering engineer.